The room was comfortable and in an excellent location. Parking was convenient. Check-in was easy and they accommodated us an hour early. Staff were friendly. 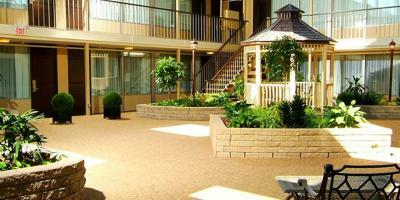 Close to all attractions within walking distance. Perfect location. Lived the indoor walkways to waterpark. The waterpark was so much fun! I also lived the design of the hotel rooms that centered around little courtyard where your children or adults can relax and chill and jus can play. They do a movie night in one of the courtyard which is a great family feature. The place is connected to the waterpark. It is easy walk to restaurants. Thank you very much for having us! It was a good trip. The lady on reception was awesome! Very friendly and nice! 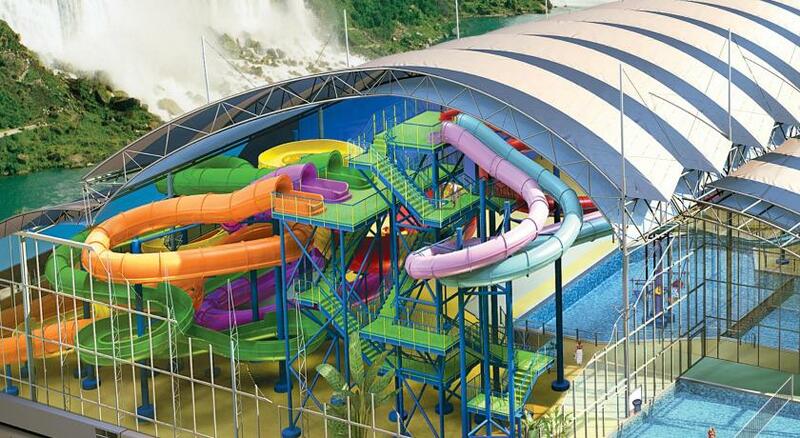 Great location, love that it was connected to the Fallsview Indoor Waterpark! Skyline Hotel & Waterpark This rating is a reflection of how the property compares to the industry standard when it comes to price, facilities and services available. It's based on a self-evaluation by the property. Use this rating to help choose your stay! 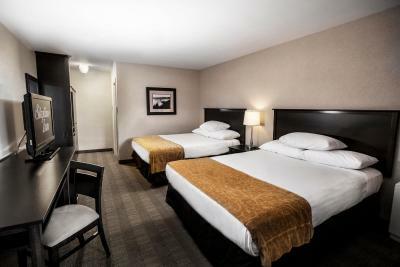 Within minutes drive of major area attractions, including the Horseshoe Falls, this hotel is connected to the Fallsview Indoor Waterpark via a covered walkway and features comfortable guestrooms and friendly service. 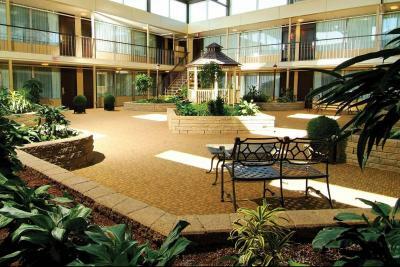 Skyline Hotel & Waterpark offers an ideal location from the Falls Avenue Entertainment Complex, featuring numerous shops, restaurants and entertainment options. 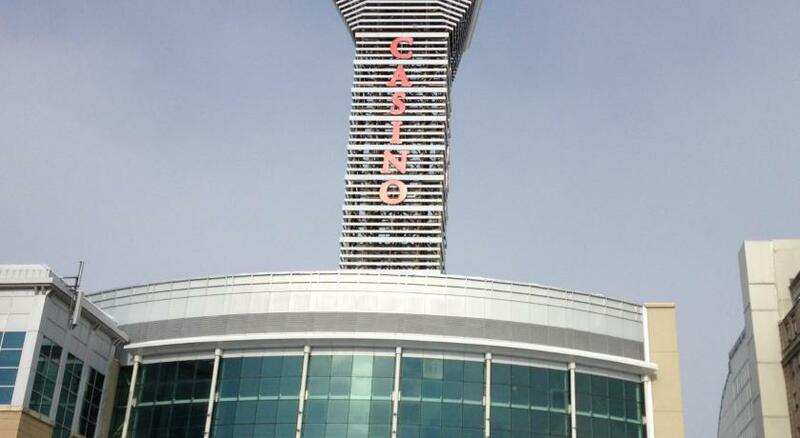 Casino Niagara along with exciting Clifton Hill is also only steps away. 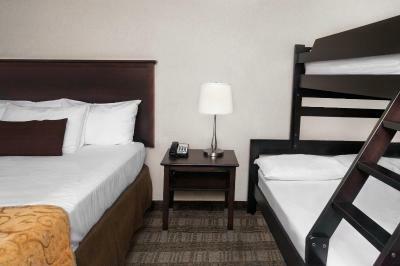 Skyline Hotel & Waterpark also provides on-site parking and free wireless internet access. When would you like to stay at Skyline Hotel & Waterpark? 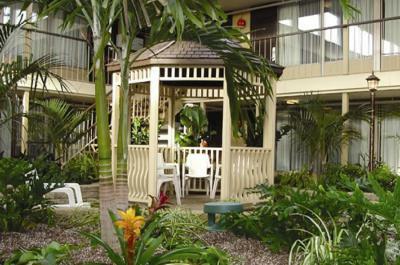 Located in the courtyard and equipped with tea/coffee making facilities. 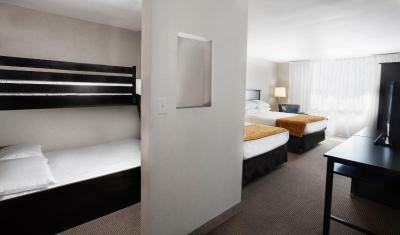 This spacious room features a separate sleeping area for children with a bunk bed and flat-screen TV. 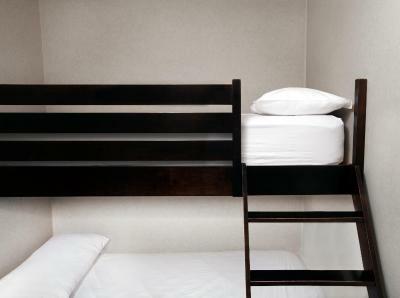 This family oriented room features a queen bed and a bunk bed (double lower bunk and single upper bunk). 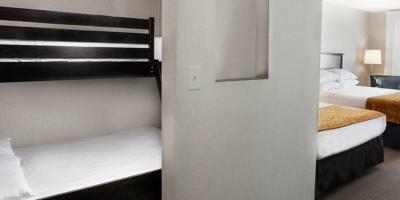 Amenities include air conditioning, an alarm clock, radio, refrigerator, cable TV and a coffee maker. 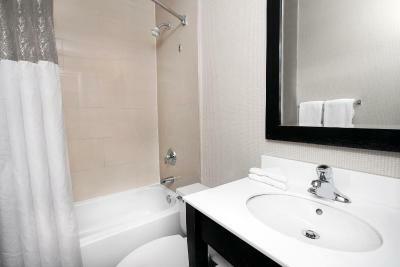 The private bathroom contains complimentary toiletries. This studio has a cable TV and air conditioning. 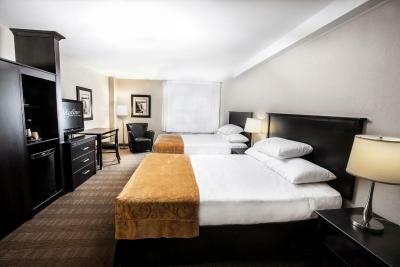 The AAA/CAA rated 3-Diamond, 3 star Niagara Falls Hotel is located in the middle of the Falls Avenue Resort at the front steps of Casino Niagara and a two minute walk to the Niagara Falls and Clifton Hill. 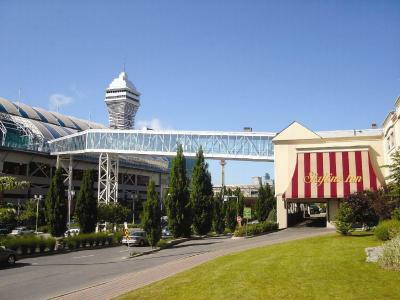 The Skyline Hotel & Waterpark has long been a family favourite, and features a climate controlled indoor skywalk to the only 3 acre Fallsview Indoor Waterpark in Niagara Falls. 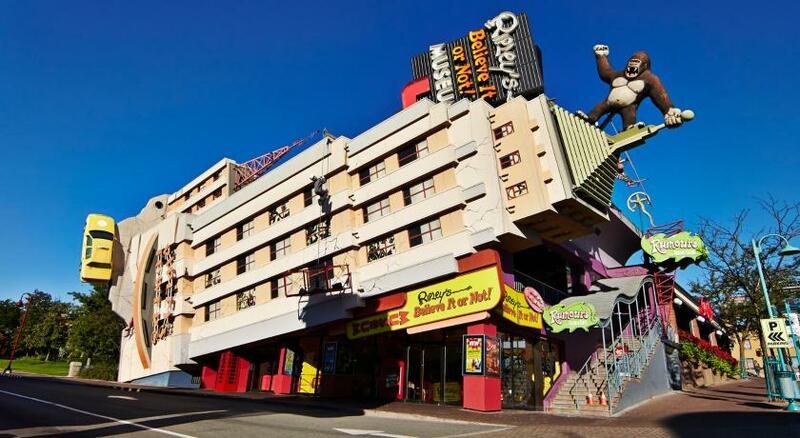 House Rules Skyline Hotel & Waterpark takes special requests – add in the next step! Skyline Hotel &amp; Waterpark accepts these cards and reserves the right to temporarily hold an amount prior to arrival. Skyline Hotel & Waterpark accepts these cards and reserves the right to temporarily hold an amount prior to arrival. Please note, this property does not accept debit cards to guarantee a reservation. A valid credit card is required when booking. Please note that the resort fee must be paid upon check in. Please note that the waterpark is closed on Tuesdays and Wednesdays during the off season. 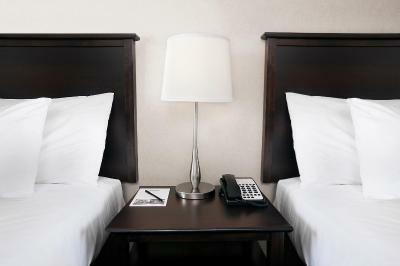 Guest rooms do not include waterpark passes unless specified in the room name. Please note, parking on New Year's Eve, Dec 31, 2019 - Jan 1, 2020 will cost CAD $30. The room was not as clean as I would like. There was a pair of boxer shorts on top of the wardrobe and the coffee machine was dirty. The mattress' were very uncomfortable. Didn't have a good nights rest. Also, the coffee maker was absolutely disgusting. I went to put water in it to make coffee...and found od water all molded and smelling like puke! Gross. I didn't use it obviously. The water park was too cold for my taste, in the winter and very crowded. It was difficult to walk to the falls, there are no clear paths or sidewalks available. Parking everywhere is very expensive 10-20$. 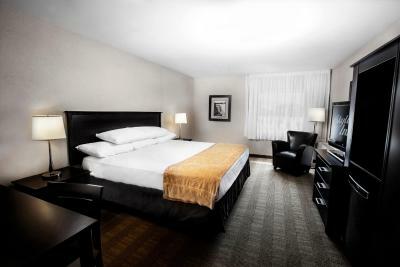 The room was spacious, staff was friendly. 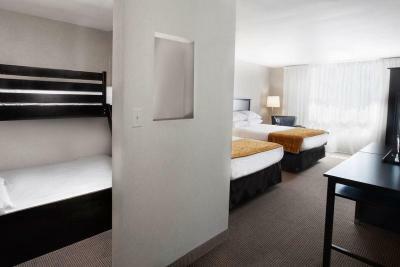 The pictures in the booking show a modern room but the place is old just remodeled. Nice photographer he can hide the bad and show the goods. Too expensive for the quality. I booked my hotel online. It booked me overlooking the courtyard which was fine but should’ve specified that little kids would be running at 7am yelling and screaming. Was not happy with that at all. Could not sleep in it was way too loud. Not sure if I would choose to stay there again because of that. Paid quite a bit of money for the weekend to stay there but you couldn’t enjoy the mornings. The convenience of the water park bridge to the hotel. The hotel was very clean. 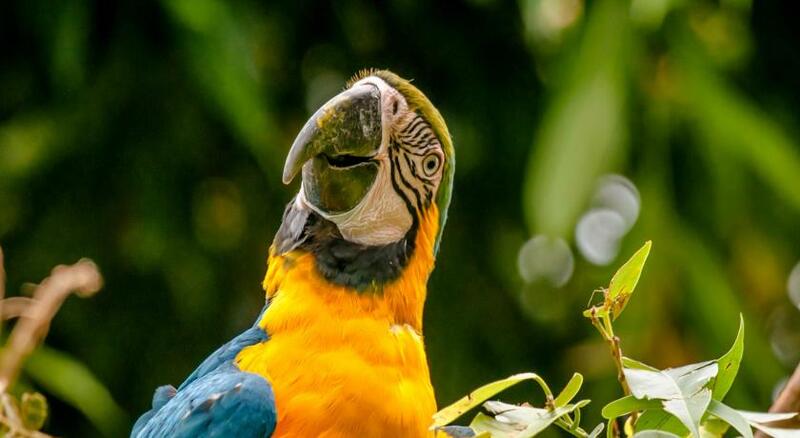 Very noisey. Kids running in the halls making lots of noise until well after midnight and then starting again at 6:30 Saturday morning. Walls are paper thin so you can hear ppl talking in the next room, their showers running and toilets flushing. Room wasn’t clean and you couldn’t see outside. The parking is a bit of a hike bc the garage under the hotel was full which made it very difficulty as I have a mobility issue. Thought it would be a savings with resort fees and taxes was double the Booking.Com quoted price. Noisy could hear every flush from room above us. Price was fare Close to everything and all attractions. 3mins from US Border. The bridge was not heated and it was cold walking when wet from the pool. 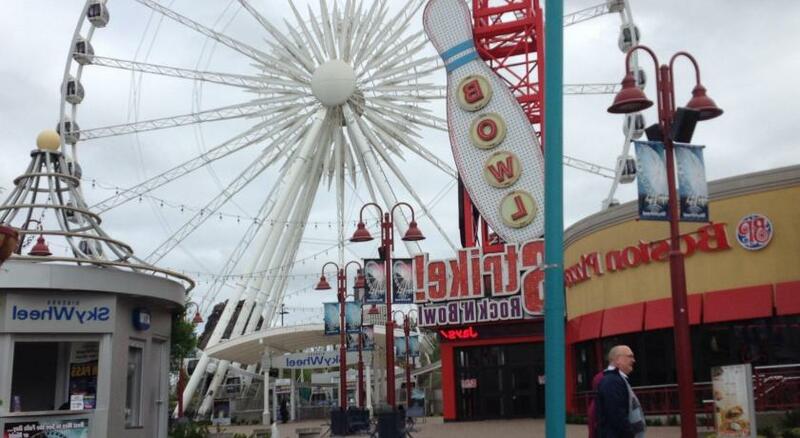 The location was within walking distance to Clifton Hill. The room was clean and very nice. The parking lot was way too tiny. Everything from the service to the rooms to the water park and how you get to and from everywhere. Also heat for the amount of money I would like to be warm the entire hotel was freezing I will never stay here again let alone go to the waterpark. Absolutely nothing, I did not like one thing about this hotel extremely disappointed, pretty sad when my 2 year old looks around pointing at everything saying ewww yuck gross dirty. My daugher also broke out with a bad rash an hour after the water park. No movie night that night. The people stay up of our room it's really bad very noisy jumping throwing something you can imagine start morning and until late night . I hope next time you need to tell to the guest that they have limit the noise and playing in the room not until 12:30 am .But the our room is clean and the place closed to everything .